A scalloped top brings a feminine touch to these otherwise rugged booties, among the most versatile you'll own in solid or foil-printed suede. Easy-access exposed side zippers add a metallic edge. 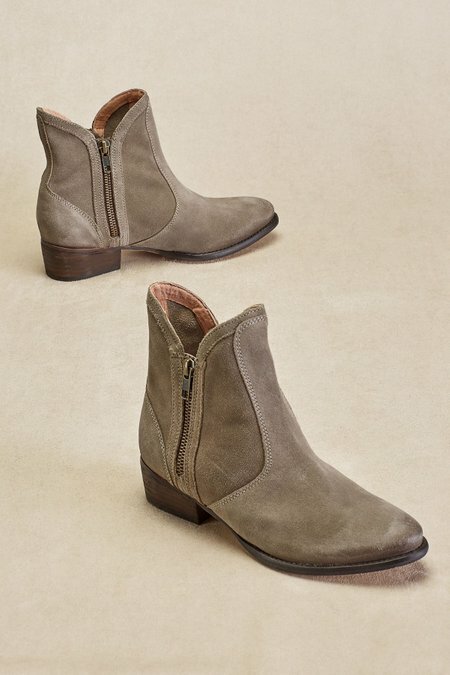 Designed with an almond toe and stacked wood heel, they comfort feet with a suede lining and padded insole. 1-1/2" heel. Taupe or pewter metallic.